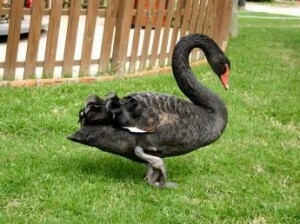 Did you know there are black swans? I was playing with the idea before I knew it was real, then Google informed me it wasn’t all in my head. I’ve switched noveling focus, from Lindorm to Shadow Swan (I imagine I’ll get a page up for it, next), while I wait for more of the complex issues of the first novel to settle. That’s one cool thing about noveling around a busy life: confusing stuff often works itself out with time, so I re-engage with as much a sense of relief (at new discovery) as of guilt (at my neglect). 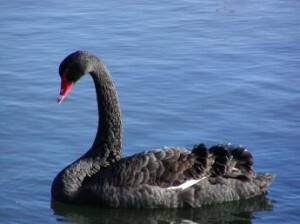 Shadow Swan is based on the Russian epic poem Tsar Saltan by Alexander Pushkin. Here we have another multi-part story with loads of traditional folktale elements (the three siblings, with the youngest “winning”; transformations; talking animals; magical gifts; epic “misunderstandings”) and especially the great images. The best stories beg to be illustrated, and make me wish I were a visual artist. I first played with this story (eventually working up to about 14,000 words) in the summer of ’05. I thought that number fairly impressive (though I stopped working on it) until my first NaNoWriMo in November of ’06, when I galloped past that mark on day 8 or 9. 14,000 is worth celebrating, but it’s not enough to tell this story, so it’s not a stopping point. Anyway, I’d been reading about industry trends in the year before I tried NaNo again, and while fantasy (roughly defined as stories with magical elements) is still very popular (i.e., selling), in the YA market these tend to be stories happening in our world. That is, “ordinary,” modern children/teens from Earth contend with or participate in magically-influenced adventures (think Harry Potter) more than adventurers or “ordinary folk” take on danger in other worlds and times (think Eragon or Lord of the Rings). Well, I had already written one from the latter category (Lindorm), so I was interested in trying out the other kind. Now, as a fairly literal Bible-reader (by this I do mean both that I am fairly literal, and that I accept the Bible pretty much as-written) and Christian, I am stuck with that (uniquely?) Christian challenge of writing a story containing magic, when the Bible prohibits sorcery. One writing/Christian friend of mine says this made her consciously choose Science Fiction as her genre: iNtuitive types like us prefer speculative fiction; she’s not into horror, and didn’t want to deal with the theological questions of magic, so that left SciFi. I dealt with the question at first mostly by ignoring it, then, thankfully, came across thinkers and writers who articulated very well my own (albeit foggy) justifications. The short version is that I (like Lewis in his Narnia stories) mostly confine magic to a non-Earth realm, and while it might stretch a little, magic used in unsafe ways is always by negitive (bad guy) characters. It becomes a metaphor for power in general, and thereby shows my feelings about power more clearly than my feelings about magic: namely that it isn’t something that healthy, humble people take on themselves, collect for themselves, or use just because they can. And it has the tendency (no matter its origin) to corrupt. 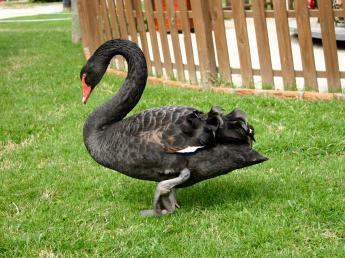 Shadow Swan is about a princess, rescued from another world and brought to our Earth, only to find that rescuing is not the same as restoring, and that danger has followed her. My original description is here, and sometime soon I expect I’ll create a page for Shadow like I did for Lindorm. There it is: I did it. 50,024 words in 30 days. I have discovered things I didn’t know were in it (Basketball tryouts, just today), and found new things that were in me (attitudes toward the challenges and delights of witnessing). It’s not until 17-year-old Gydeon Calder visits his mother’s homeland for Christmas break that he discovers she is from another world. One where magic is very real. Back home on Earth his father wrestles with suicidal thoughts and the question of whether his family is better off without him. When Gy’s mother becomes ill in her homeworld of Eshe, he brings her back to Earth with the help of a magical girl who for a time was a swan. Sharizalli is used to an openly violent world where she hid her true thoughts and feelings. In Moscow Idaho, Shay discovers a world where threats are less-open and relationships can hang on speaking the whole truth. While Gy seeks to restore his parents’ will to live, and with it their marriage, fear mongers from Eshe infiltrate Gy and Shay’s high school in positions of authority. Shay must decide how much of her old life to reveal, and whether she can sacrifice the ease of her new life to save those she has just begun to love. So does that sound melodramatic? Maybe confusing? Between The Veritas Project and The Fairy Tale Novels (among other titles) which I’ve read in the last year, I’m firmly convinced of a vibrant, if small, audience for solidly Christian and morally grounded fantasy and adventure stories. I feel like I’m supposed to be a part of that, and prayed a lot through this month that my stories, however and whenever they become more widely read, will be useful and encouraging to those who read them.